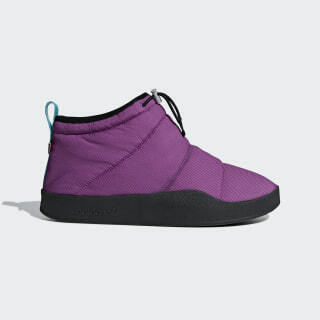 A cosy Adilette built like a sleeping bag for your feet. Take the ease of slippers to the street. These Adilette shoes recast the familiar slide in a camping gear-inspired style. 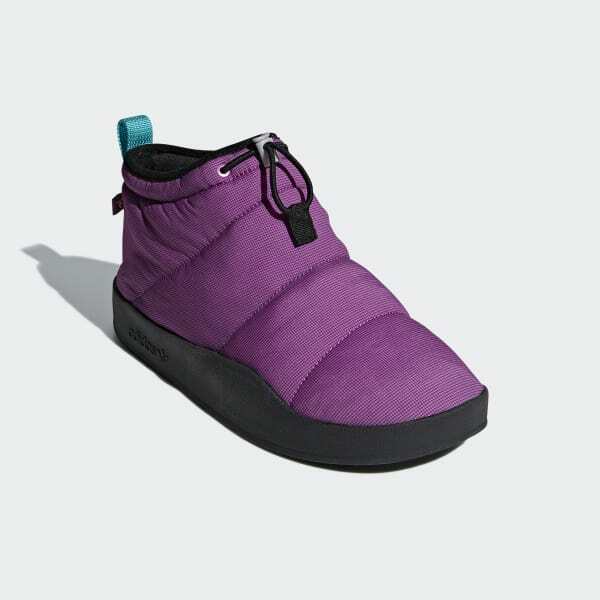 The stretchy textile upper features insulation that surrounds the foot in cosy comfort that feels just like a sleeping bag.